McDonald's is giving late sleepers and big breakfast fans something to smile about by serving McMuffins all day, everyday at some locations. It will test out all-day breakfast at certain restaurants in the San Diego area beginning next month, the company said Monday. Typically McDonald's stops serving its hash browns, egg sandwiches and hotcakes at 10:30 a.m, but it varies by restaurant. "We look forward to learning from this test, and it's premature to speculate on any outcomes," a spokeswoman said. 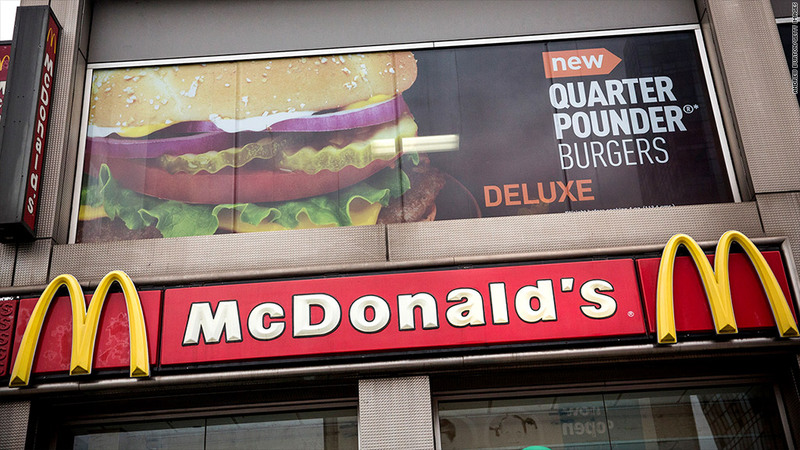 McDonald's (MCD) is struggling to turn lousy sales around and has announced a number of menu changes recently, including a plan to cut back on chicken raised on antibiotics. It is also bringing back its chicken tenders, called Chicken Selects, after a two-year hiatus.